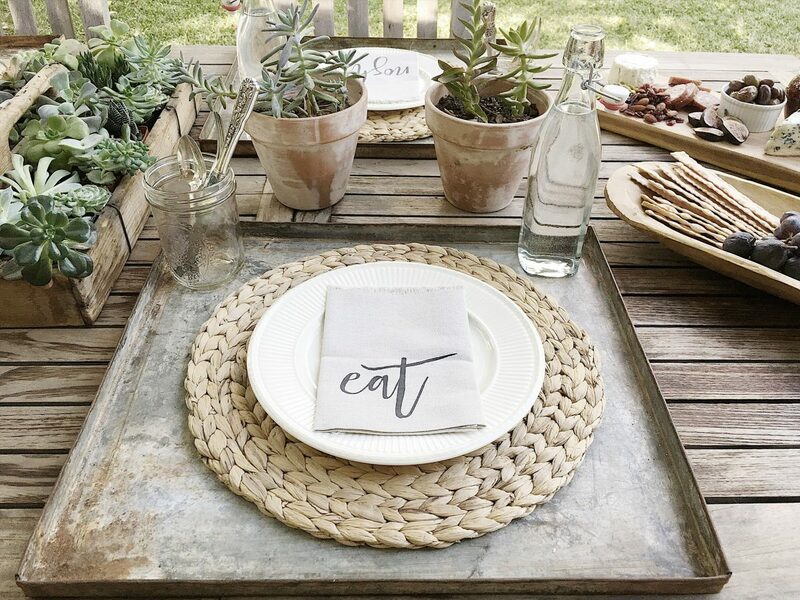 When we staged the outdoor dining area for the Fall Home Tour I knew I wanted to do something really rustic. Since the only fresh plants I can seem to keep alive are succulents, I decided to go with a succulent theme! 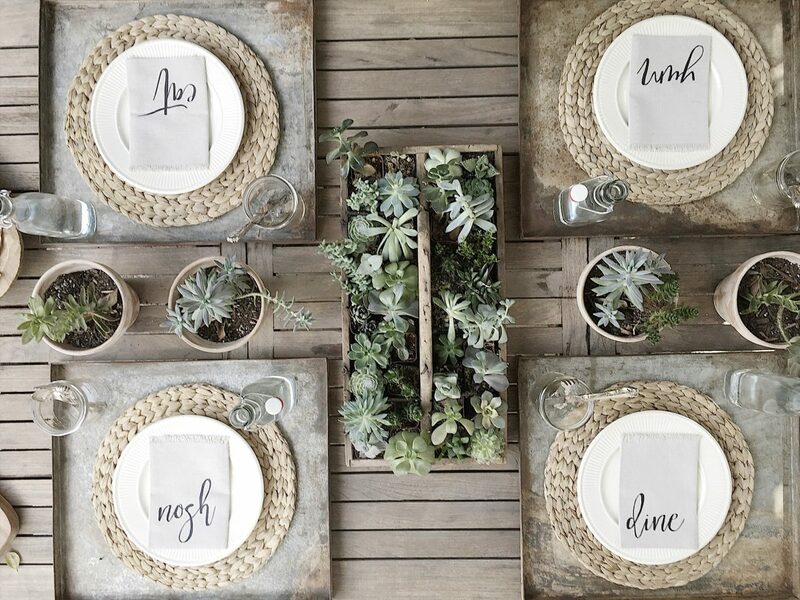 The table started with four amazing chargers I bought at the Rose Bowl Flea Market from @thewarpedtable. These metal charges are so perfect for outdoors. Since I only had four of them I decided it was time to set a table for four, which is odd because I realized this is the first time I have featured a table for less than six! What a nice change. Our first task was to clean the outdoor table. Summers can be rough in Pasadena as the Oak trees tend to drop a lot of sap in the heat. So a nice scrubbing with some everyday cleaner and a good sponge did the trick! I decided to use my Pottery Barn chargers and Wedgewood Edme china to keep the table as casual as possible. The succulents were already potted and in my backyard. 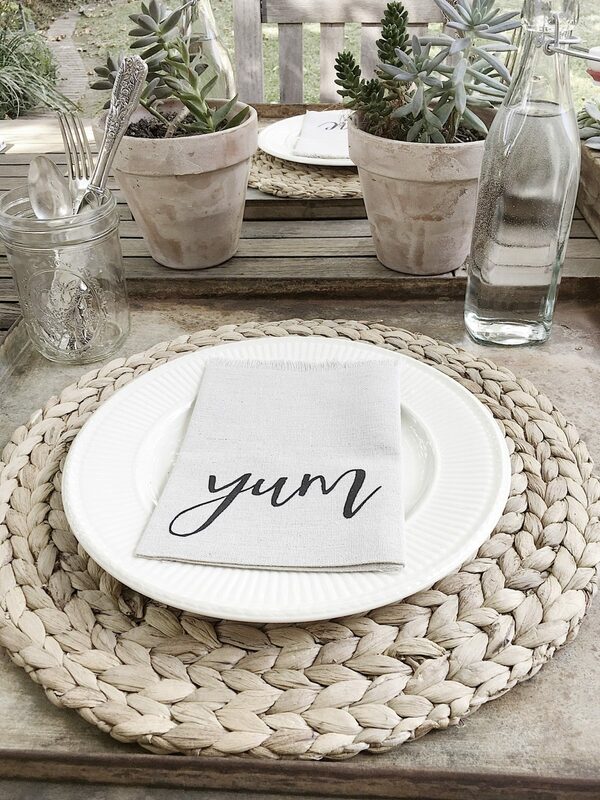 I also pulled out these adorable napkins from @kitchstudios that I purchased on Etsy. Aren’t they perfect? I think my favorite idea on this table is the jelly jar water glasses with the cutlery set inside. It was one of those spontaneous decisions that just happened and I just love the look. I had the water bottles stored in my basement and they just polished off the table look. The best part about this table is my father-in-law and his wife came to dinner last week and I served dinner at the table. I served butternut squash tacos and they were delicious. It was a perfect evening. Beautiful! 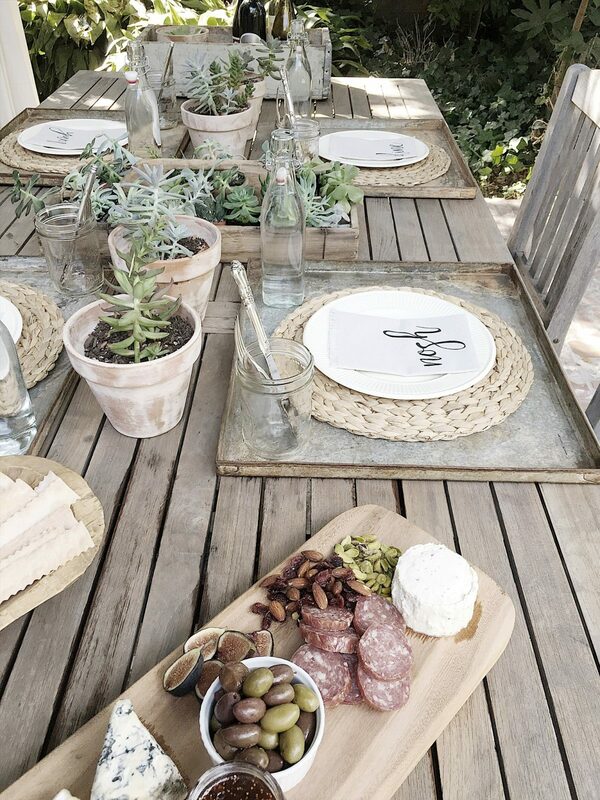 There’s a restaurant we enjoy that serves the food on rustic trays like that. I’d like to get some for us. The butternut squash tacos sound delish! Thanks! They were really delicious. ???? What size are the amazing chargers? Any idea where to get something similar? Love them!! They are one of a kind unfortunately. But you can reach out to @thewarpedtable in case she finds more of them!